Schmidt Marseille (@pikglas) is a 20 year old Haitian living in New Jersey, USA. He is currently a student in criminal justice, and loves social media, sports and music. 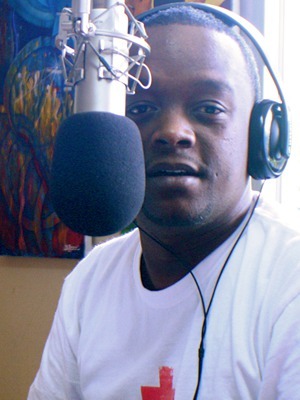 Carel Pedre (@carelpedre) is a radio and TV host in Haiti, and could be heard broadcasting news following the 7.3 earthquake last January. Ricardo Vintris (@twitjako) promotes Creole rap music, maintains the twitjako.com web site, and loves sharing ideas, opinions, anecdotes and jokes via Twitter. JCP: Why are you tweeting in Haitian Creole? @twitjako: I tweet in Creole for a lot reasons, let me mention two for you. First, I think and I believe the Creole language is the best way to communicate to my people living in Haiti or abroad; second, I want to use Creole as education tool to teach people their civil rights, because one of the main handicaps in Haiti’s development is ignorance, and ignorance begins with misunderstanding and lack of communication. Communication has to be a way to express yourself freely and be understood. To be understood requires a proper language; as a Haitian, I think the proper language is Creole. We have a proverb "Kreyòl Pale Kreyòl Konprann" [Creole Speaking, Creole Understanding]. Sometimes I tweet in French and rarely in English. When I tweet in French it is just to address to some people that I get in my network, or in a quote. I have to tell you that French is not really a language of communication for Haiti, even if we have this language as one of two official languages. So, we speak French when we want to print some ideas or want to be respected or tell to people that you were in school because going to school in Haiti is still a privilege and not an obligation. English?? Rarely do I use this language to tweet, then I always ask myself why I have to tweet in English because we've got a creolophone country even if I use an international network like twitter. And unfortunately I don’t master the English language (lol). The main goal of twitjako is to speak to the Haitian People in order to get a new mentality on how we are living via Questions and Opinions. Regarding my goal, I think Creole is appropriate to get the wider audience I need. @pikglas: I tweet in Haitian Creole mainly because it is my native language, and sometimes the best way to express yourself is by using your native language. I do tweet in English too and a few times in French, I always found a way to balance those three languages, I don't really care about having a wider audience, I just speak my mind and that is it. @carelpedre: I tweet in Haitian Creole because I'm Haitian. Creole is my native language, I speak Creole everyday. My Language is my pride, it's a way to let everybody know that I'm 100% Haitian. French is my second language but I don't tweet in French because the majority of my Haitian followers live in the USA or Canada and the other ones will understand English anyway. I have a lot of Non-Haitian followers. When I tweet something in Creole I know some of them will use Google Translate to get the meaning. JCP: What is your vision for the language in the next 10 years, and how do you see yourself contributing to that vision? @twitjako: My vision is to see all online documents in Creole, my keyboard, my browser, my twitter, my facebook, my mozilla… all in Haitian Creole as we have google.ht in Creole. I think we have made a good start, because we can listen and read Creole on the radio anytime, on the web, TV shows and so on. Imagine if we got 10 million Haitians using Creole to do everything, as Americans do with the English language??? I would like to encourage Haitian People to get involved in this new way to communicate around the world, especially in Creole… I know it’s difficult for a country like Haiti to get a lot of people in the computer world because electricity, computers, Internet are lacking and expensive. One more thing, we have to be trained to manipulate the computer and Internet and the big handicap is that a large part of Haiti’s population cannot read and write efficiently. I think if we resolve these issues, we could hope to improve the presence of Haitian Creole in the computer world. 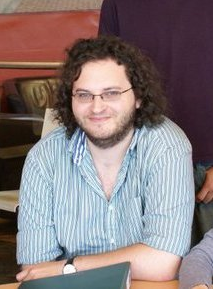 @pikglas: I can see Haitian Creole as being more popular in the next 10 years. Now google has added it to its list of languages in its linguistic tools, you saw us (Haitians) using it on twitter and create a hashtag where a lot of non-creole speakers was asking about it, what it is, and how they can try to understand it. I think these are some of the good signs which will lead the language to be more recognizable. [I will contribute by] using Haitian Creole more throughout the Internet world. As you can see, I do it via twitter and other websites like facebook and tumblr, and I will continue to do it, and I will suggest people try to learn it, I've done so with a friend of mine, and I will continue to do it, mostly via the computer world. @carelpedre: I hope that every Haitian will be proud to speak Creole, that Creole will be the business language. I hope that somehow the Haitian diaspora will use creole as the main language in the world as the Spanish never let the language down even if they are living in the USA, an English-speaking country. [As for myself] I can promote the language. Let the world know how beautiful this language is. I'm up to anything to promote my culture, my country, my language. JCP: Anything else you'd like to say? @twitjako: My comment about the use of Haitian Creole in Haiti and abroad is simple… Any language could not exist without people… If the Haitian people speak and write in Creole, the use of Haitian Creole could be really efficient, [even though] it’s not the case at the moment, but we've gotten strong signals with google.ht, the Mozila project to translate its browser into Creole, the [spellchecker] kok.logipam.org, and surely the http://indigenoustweets.com .. BRAVO!! @pikglas: I think the use of Haitian creole in Haiti and abroad is good. Me personally I would like to see people use it more. And when they are trying to get a non-Creole speaker to learn it, I would like us to stop teaching them profanity first, like we often do abroad, we can always start with the basics. @carelpedre: All I can say is that Haitian Creole is neglected. In Haiti it's considered as the language of the mass, the poor and those who didn't go to school. Abroad when you speak Creole it's like you miss something. We Haitians need to let the world know that our language is like theirs. We have to speak Creole as often as a Cuban speaks Spanish and be proud of it. 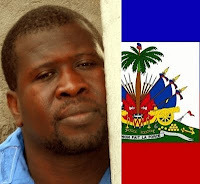 Our second interview in this series looks at the Haitian Creole language (Kreyòl Ayisyen), which is spoken by more than 10 million people around the world. Most, of course, live in Haiti, but there are also substantial speaker communities in the Dominican Republic, Canada and the US (in New York and South Florida especially), and in several other countries as well. Haitian Creole is something of an exceptional case on the Indigenous Tweets web site, as it does not fit any known definition of "indigenous", having its roots in the colonial language of French going back to the 18th century. Nevertheless, the language fits well with our mission, as it is facing many of the same obstacles as indigenous and minority languages in other parts of the world, competing as it does with standard French as the language of education, literature, and computing in Haiti. It does have some legal status, being an official language of Haiti since 1987, and being taught in primary and secondary schools in the country. For almost two years I have been working with the company Logipam in Haiti, helping to develop and promote open source software and resources for Haitian Creole. The massive earthquake that devastated the country on January 12, 2010 disrupted this work for time, but over the last year Logipam has returned to work with renewed energy and dedication. Below is a picture of the Logipam team; from left to right, Jean Came Poulard (@jcpoulard), Monstapha Hilaire (@pwal2k_rot), Eder Hilaire (@kannkale), Metuschael Prosper, Erick Toussaint (@rickytweetht), Emile Poulard (@pouledge), and Jean Baptiste Marc (@metminwi). Jean Came Poulard is an IT Manager at HELP and the Developer Manager of Logipam; he spoke with me about the current state of Haitian Creole and his work with Logipam. access to computers an issue for your community? What kinds of software and web sites are there in the language? 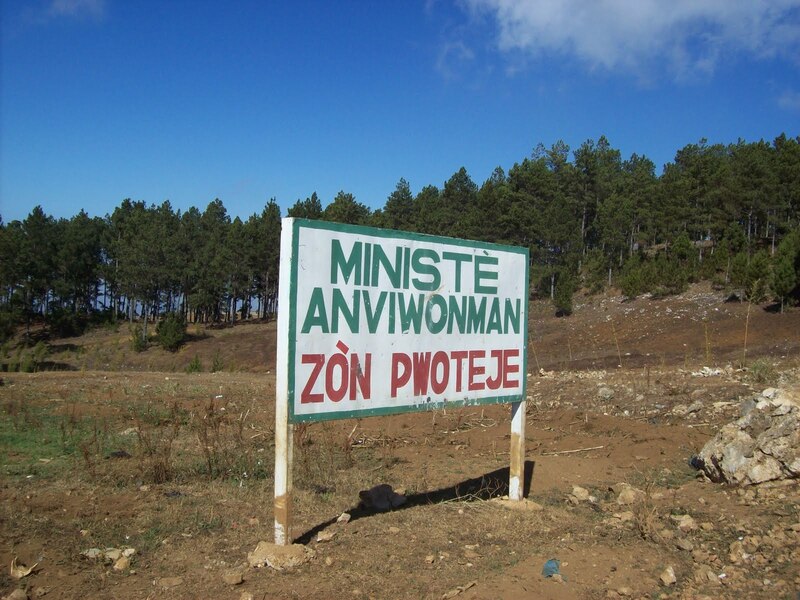 JCP: As Haitian Creole is spoken by all the citizen of Haiti, Haitian Creole websites and social media in this language can be considered as an element of inclusion for the population. This inclusion will create a new era in some domains such as E-Learning, E-commerce, etc. Internet connectivity remains a serious issue in Haiti -- it is poor and very expensive (US $60 per month for 256 Kb/s). One hour of connectivity in a CyberCafe costs one US dollar. The majority of social media users post messages from their phones as smart phones become more and more popular, costing US $25 a month for smart phones. In late September 2009, the Logipam team started work on an open source Haitian Creole Spell Checker, with your help. One month later, we had released the first version of the spell checker (named "Korektè òtograf kreyòl (KòK)"), compatible with Firefox, Thunderbird and OpenOffice/LibreOffice. Now the Logipam team is localizing Firefox using Narro and 36% of the work is already done. KPS: I know many readers of this blog who speak other languages will be interested in translating programs like Firefox. You mentioned Narro, which is a web site that allows you to translate Firefox in your browser; nothing to download or install, just register and start translating. What are your impressions of it? JCP: It's great, a really good tool. A slow connection can sometimes be a problem, but otherwise we can translate just as fast as with offline tools. KPS: Many speakers of indigenous and minority languages are reluctant to use their languages online because they don't know computing terminology, or they don't have good keyboards, or they are simply more comfortable in a language like English or French. What is the general attitude toward using Haitian Creole online? JCP: The Haitian Creole speakers have similar issues to the ones listed above given that many computer users have learned to use computers in English or in French. With that comes the problem of Creole computing terminology. Nevertheless many signs show that the use of Haitian Creole online is increasing. For example, the Indigenous Tweets site proves just how many Tweeter account holders use Haitian Creole on the platform. Many other blogs, forums, mailing lists have plenty of Haitian Creole messages. KPS: I mentioned above that many indigenous languages lack computing terminology. Is this an issue for your language? How is/was terminology developed? Is there a "language board" or are terms developed naturally by the community? If there are official terms, how are they communicated to the community? JCP: Creole computing terminology is an issue that can be resolved given that a large majority of Creole scientific terminology is derived from French or/and English. For instance, people currently use either “Prent” or “Enprime” to say “Print”. The first one comes from the English word “print” and the second from French “Imprimer”. The Haitian Constitution recognizes a Haitian Creole Academy which must, as the French Academy, monitor and regulate the language; but this institution never concretely came to life. Therefore, the terms continue to be developed naturally by the users. The chaos is such that computer classes are taught in Creole with French books supported by English computer software. KPS: Are there other special challenges your community faces in terms of developing technology for the language and/or communicating online? For example - differences in dialects, different spelling systems, problem with fonts, lack of computing expertise in the community, lack of interest from software vendors like Microsoft/Apple/Google. JCP: In general, there are few scientific productions in Haitian Creole. In the technology field the main challenges for Haitian Creole are both a lack of computing expertise and a lack of interest from major software vendors in Haiti and abroad. Logipam strongly believes that Open Source can be an alternative to this situation. So far as I know, Logipam, which has a very small team (less than 5 active people), is the only institution that has an interest in localizing Open Source Software in Haiti. Big vendors such as Microsoft or Apple, even if they are relatively well represented in Haiti, don't really show interest in developing solutions in Haitian Creole. Google is the only one that has published two solutions in Haitian Creole: a search website and the Google Translator, but as of today no spell checkers are available for Microsoft or Google Chromium. facebook and twitter are helping encourage language use by younger speakers? JCP: The majority of Internet users in Haiti are young people. Facebook has a lot of comments and messages in Haitian Creole. 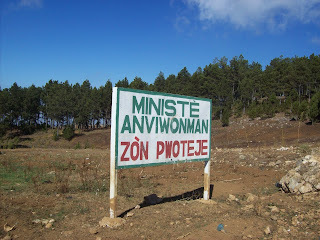 Social media such as Facebook, Twitter, Hi5, Haitian connection, Sakapfet give a solid push to the use of Haitian Creole online. With at least 500,000 people using Twitter in Haiti, social media really enhances the presence of Haitian Creole online. JCP: A vision in ten years! This is a very difficult question for me to answer considering a long list of unknown parameters I would have to deal with. But I really would like to see greater implementation of Haitian Creole in the education system in Haiti; and also see more publications in Creole in the scientific arena, as we are starting to see in literature. As a matter of fact, more books have been edited lately (even classic translations) in Haitian Creole. Moreover, a daily newspaper in Haitian Creole would be great boost to the language. In term of software, my team and I would like to see an operating system such as Ubuntu entirely translated in Haitian Creole. Our aim is to work to make that happen. This is the first in a series of interviews with speakers of indigenous and minority languages who are involved in language revitalization efforts and who use their languages online. 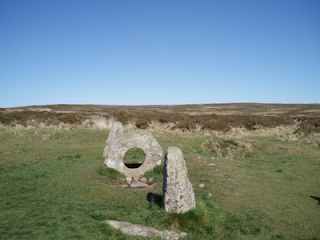 I am excited to begin the series with the Cornish language (Kernewek), one of the six Celtic languages, spoken in Cornwall, at the southwestern-most tip of Great Britain. 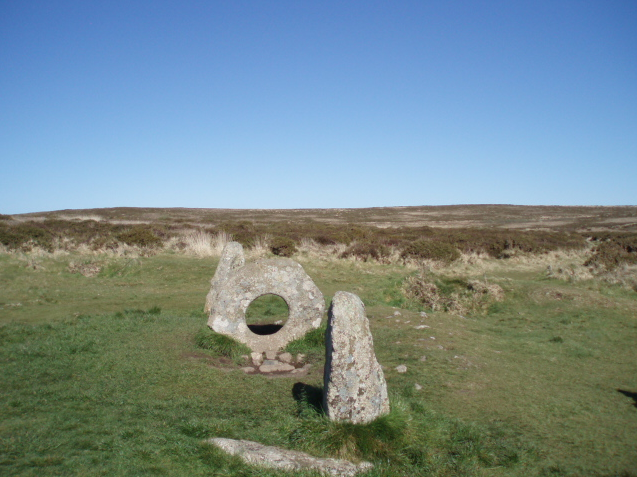 Cornish is a particularly interesting case since it is among the languages to have been declared "dead" as far back as the 18th century, one of the first victims of the expansion of English that is threatening so many languages around the world to this day. However, the reports of the death of Cornish have been greatly exaggerated! Indeed, it is in many ways an inspiring case of language revival; today it is spoken by an active community of second-language learners and a number of children are being raised in the language, with the first Cornish language preschool opening just last year. The language is also famous for a decades-long dispute over orthography that has hindered the revival movement in many ways; we touch on some of those issues in the interview below. 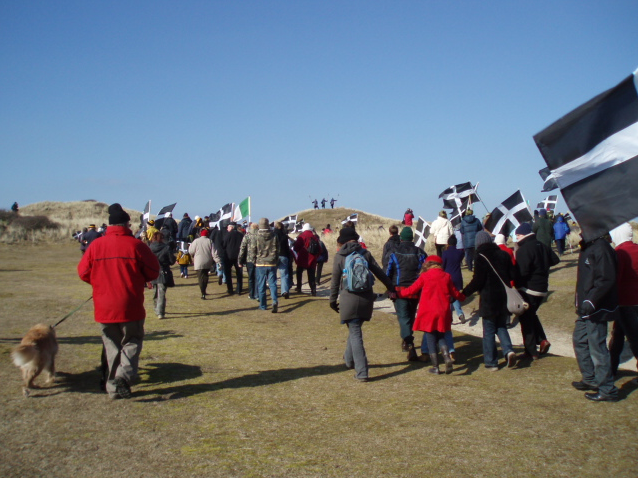 The good news is that in 2008 many of the major figures in the language community came to an agreement on a Standard Written Form (PDF link) for Cornish. For other small language communities who are trying to produce written materials for language revitalization and are struggling with dialect variations or spellings differences, there are certainly important lessons to be learned from the Cornish experience. 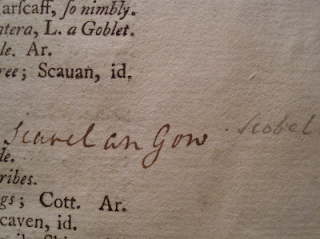 John Ellery Gillingham is a student of Cornish Studies at the University of Exeter's Cornwall campus, Tremough, studying the decline of the language during the 18th, 19th and early 20th centuries. He has been learning Cornish since his teen years, and is trying to learn as many words orally from traditional speakers, or their families, as possible. He is also active in the Cornish language community on Twitter (indeed, currently ranked number one on the Indigenous Tweets page for Cornish), as @Bodrugan. I spoke with him about the current state of the language, both online and offline. KPS: Can you give us a quick overview of the state of the language, for readers who may not be familiar with Cornish? How many speakers are there? Does it have any official status, and is it taught in schools? JEG: There hasn't been any real census of the number and quality of speakers out there, but there are maybe a couple of dozen young people raised in the language, and around 200 fluent. 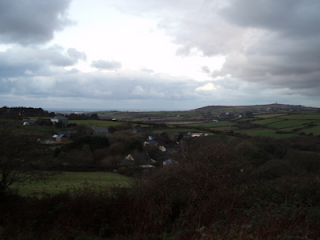 There are also around 2000 people with a conversational level of Cornish. I feel that the numbers are increasing. 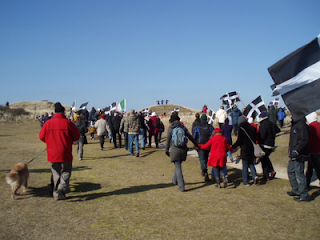 Cornish was given protection under the European Charter for Regional or Minority Languages by the UK government in 2001 and has been receiving a limited amount of public funding in recent years. It has been taught in schools for a number of years now and the number of such classes is increasing. There have been Cornish language playgroups for preschool children over recent decades and there is now, since 2010, a Cornish language creche, Skol Veythrin Karenza, which not only teaches the children, but also teaches the parents how to use Cornish around the home. At the moment there are no schools using Cornish to teach. KPS: What opportunities are there to use the language online? Are there websites (Facebook, Google search, Wikipedia) translated into your language? What about software and other resources (web browsers, office software, online dictionaries, spell checkers)? JEG: The internet is no problem, we had broadband rolled out across Cornwall very early on, and now we are having high speed broadband installed. There have been projects to translate things into Cornish but I don't really use them [e.g. translations of Ubuntu Linux and the digital music manager Songbird]. Some of Wikipedia has been translated but people have been reluctant to do too much while there is uncertainty over the spelling system used for the language. 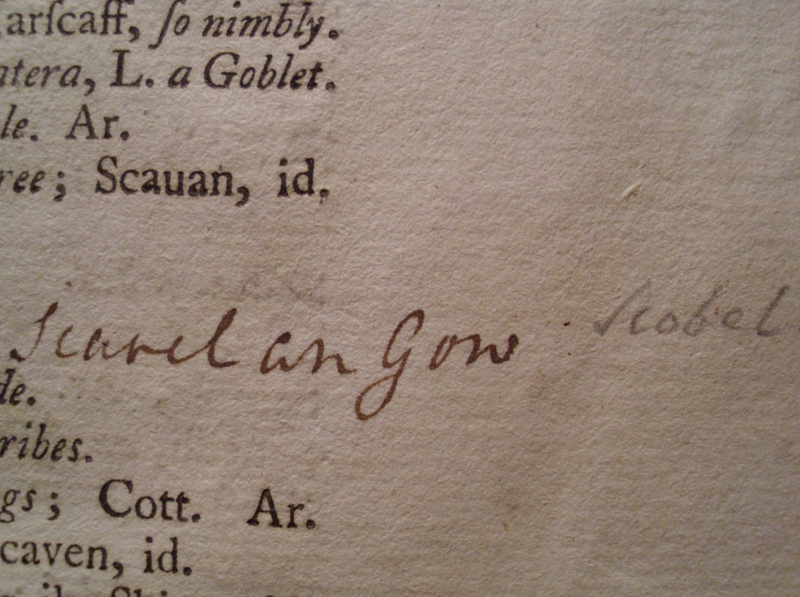 A new spelling system has recently been devised after decades of infighting over how to spell Cornish. The divisions led to a lot of people refusing or otherwise reluctant to converse with each other either in public or on the internet. There is a regular radio podcast available on the internet called Radyo an Gernewegva and also weekly news in Cornish on local radio. KPS: Many speakers of indigenous and minority languages are reluctant to use their languages online because of difficulties with terminology, orthography, keyboard input, etc., or simply because they are more comfortable with English/French/Spanish. Are any of these issues relevant for speakers of your language? What is the general attitude toward using the language online? JEG: One thing is people not being confident with the new standard spelling system, there were four or five different spelling systems before, so people will often write in English to avoid any such problems. A lot of people just learn to use the computer in English but that is a different thing entirely to getting people to write in the language on-line. KPS: Many indigenous and minority languages lack computing terminology. Is this an issue for your language? How is/was terminology developed? Is there a "language board" or are terms developed naturally by the community? If there are official terms, how are they communicated to the community? JEG: There has definitely been a movement from the younger part of the language community to keep Cornish up to date with modern technology. There are various language organisations publishing new material and keeping the language in the present. 'Official' new words are disseminated through books, dictionaries and magazines as well as on radio. KPS: Why multiple organisations? Are the different organisations in charge of different terminology domains, or is it more of a free-for-all? And yes it is a bit of a free for all, but in the end, to be accepted, they have to be used by the language community. If the words pertain to your profession or field of interest then it is likely that you are going to come up with them and use them. JEG: Hopefully the problems to do with spelling systems will reduce in the coming few years. There are a great many older members of the language community and it is unlikely that many of them will get involved in using Cornish on social media, but there are some who certainly do use it. JEG: Yes, and I think things like Indigenous Tweets are helping with that. I think that there has been a problem in the past where young speakers have been very much isolated from each other and have therefore reverted to using English on a daily basis with no Cornish. JEG: In general I want schools to begin teaching in the language, and every school to run Cornish classes. I would like to see an on-line news service in Cornish, and Cornish television (even if it's just on the internet).